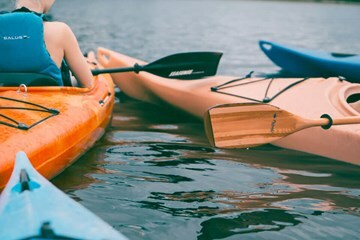 Edmonton and the surrounding area offers a wide variety of activities for individuals and families. 10 minutes to St. Albert. 40 minutes to West Edmonton Mall. 45 minutes to downtown Edmonton for concerts, football games, and shopping. It's time to relax and unwind. Pull your RV in and stay with us. 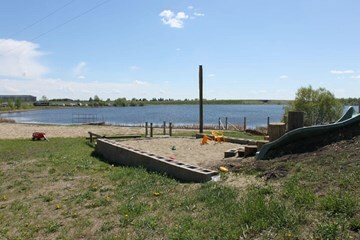 Located at Highways 2 and 642 on beautiful little Heritage Lake (Just West of the Overpass at Morinville). Bring your fishing poles as the little lake is stocked with fish - you may catch some! We have 54 serviced sites plus a large non-serviced area. Located just a few minutes walk to get to the center of Morinville and minutes from Sobey's grocery, pubs, restaurants, gas, and several fast food outlets. We have fire pits on all of our sites with firewood costing $10.00 a wagonload. Need WiFi? Contact us at the office for WiFi options. Group sites are available for ball teams or family reunions. Playground, beach, swimming, pier. 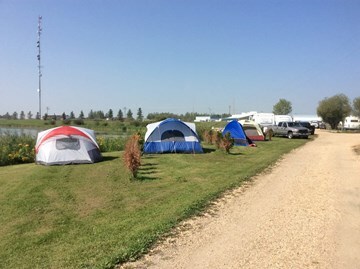 While camping here at Heritage Lake Campground & RV Park, you will be within relatively close driving distance to many great activities including golf courses, world-class shopping at West Edmonton Mall, and much more! Tradespeople interested in staying with us while working at a nearby plant, will have easy access to the necessities as Morinville is just across Highway 2 and the town of St. Albert is only 11 kilometers south. Please share your experience with your fellow campers and RV'ers.